Just out of curiosity, I ordered the Art Deco cards, and they arrived yesterday. I love the artwork (1920's and 30's style, similar to Lucky Mojo labels) and a handy playing card size. The cards consist of are 52 modern images that are easier for most people to understand than the tarot. This deck will be a great divination tool. Those cards really are a lot of fun and can dig as deep into a situation as the reader will take them. Hope you have as much fun with yours as I have with mine! As an aside...the other prevalent art style of the era just prior to the deco movement, Art Nouveau, is also greatly to my liking. LM sells a beautifully illustrated traditional tarot deck, titled (big surprise!) Tarot Art Nouveau. Beautiful artwork. Some criticize the desk for being superficial and "too pretty" but if one is familiar with the RWS symbolism the deck can easily be used in a likewise manner. The art is stunning. In response to the overwhelming interest in the Tantric Dakini Oracle cards, which Deacon Millett of AIRR used during his guest appearance on the Lucky Mojo Hoodoo Rootwork Hour (originally broadcast in October, and rebroadcast as our Christmas archive show), i am happy to say we have this amazing photo-collage deck and book set back in stock! Wow, awesome! Thanks Miss Cat! Glad its back in stock! Wow, now that's service! It's nice to hear that Lucky Mojo is carrying these cards again, as they caused quite a commotion on the show and in the chat. Very nice! This is great news! I will start telling my reading clients where they can get their own deck. Hello, I've had some form of tarot cards or runes for many years & have read for myself & those close to me. Recently I've become much more interested in divination and have been studying other methods. 1) I've been looking for some Oracle of Belline cards but haven't found any new ones. Are these cards still made? 2) If not I've always heard that you can't use someone else's cards, but I would think that it would be ok as long as they were properly cleansed of negative energy. Does anyone have any advice on this subject? 1) Lucky Mojo does not currently carry the Oracle Belline. 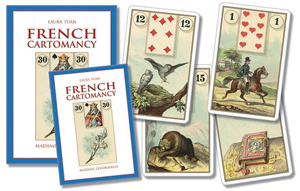 It's not a relatively well-known deck outside of the Francophonie, the way that Mlle Lenormand's contribution to cartomancy has been. It is still being made but would need to be imported from France or Québec. Because this forum is an extension of the shop, we won't discuss where to purchase it from. For those wondering what this deck is about, it was allegedly created by Jules Charles Ernest Billaudot (1829-1881), also known by the name Mage Edmond. In his time, he was a well-known seer, reading for contemporary celebrity figures such as Alexandre Dumas, Napoléon III, Empress Eugénie, and Victor Hugo. In fact, he successfully predicted Hugo's exile to Jersey. Some have speculated that Mage Edmond may have even been a student of Mlle Lenormand. Fast-forward to the 20th century. Belline was a seer operating from the same street that Mage Edmond did in Paris, from the 1950s-1980s. Belline discovered Mage Edmond's 53-card deck, named it Oracle Belline, and published it through Grimaud in 1961. He also discovered the Grand Tarot Belline and that was published as well. It is a very interesting deck and I really encourage people to check it out. The deck consists of 53 cards, each having the symbol of one of the seven sacred planets. Each card has a symbolic picture and a keyword. For example, Card 11 has the symbol for the Moon on it and shows a very angry black cat with the keyword "Betrayal". All the works published on reading with it, however, are in French. There was a deck published called the New Belline with updated artwork and keywords translated into English, Spanish, German, and Chinese alongside the original French. 2) Some people don't like others handling their decks, some do. Many people encourage their clients to shuffle and cut the deck during a reading. There is no inviolable rule that you can't use someone else's deck. If the owner of the deck gives you their permission then go for it. For cleansing decks - whether your own, someone else's, or one that was gifted to you - you can waft them through the smoke of Lucky Mojo Van Van Incense. 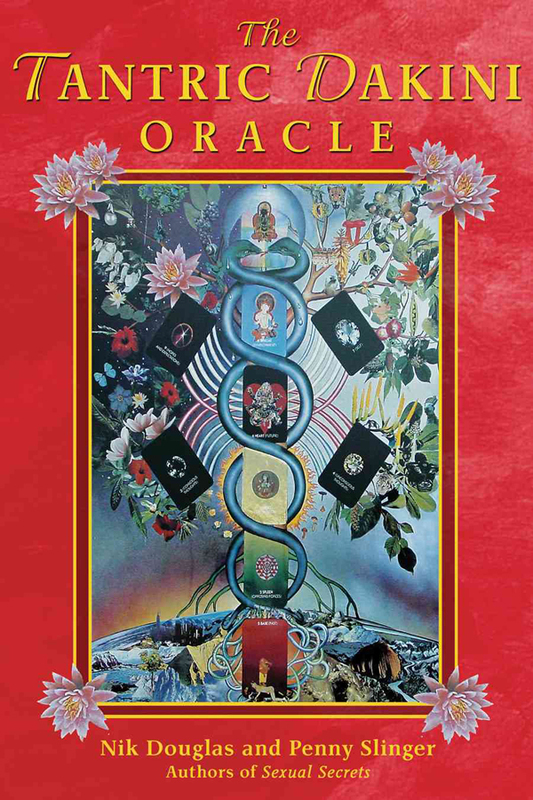 PS: Apologies to the forum moderators, who may wish to relocate these posts to the Oracle Card Reading thread. You guys do such great work at keeping the forum organized! It is really appreciated. 1) We do not carry the Oracle of Belline. 2) I work with previously owned cards all the time. I have never believed all that hooey about how you must never never never use them. Sure, if they feel bad or wrong to you when you get them, then smoke them in some Van Van incense to clear them -- but if they feel really "right," you may actually pick up the GOOD VIBES of the previous owner, who, for all you know, was a gifted psychic! There is no reason to assume the negative when you can assume the positive! Thanks for the replies -- and thanks for the reminder to relocate this thread to the Oracle cards thread! I have done so! And, just in case anyone wonders what my own favourite oracle card deck is -- that would be the Art Deco deck cited above. Ditto on the French Cartomancy Lenormand, it's been my purse deck since it came out. Don't leave home without it! There's another version of the Belline by a guy named Medlindaf. I haven't made a study of it, but I'm told he spent 15 years on it, correcting mistakes (the Belline was taken from the work of Mage Edmond). The infamous 'eagle and toad' card was actually supposed to be a courbel - like a vulture, which it got updated to. And the frog was actually a salamander. It's called the Tarot d'Eltynne. The only drawback (and this is purely subjective) is the digital art...too slick and contemporary for my taste. But a lot of people seem to prefer it over the Belline. If you get the French Cartomancy, you might forget all about it though. Lenormand is scary accurate. thanks for mentioning the Tarot d’Eltynne. I’ll keep my eyes peeled for more information on it. My favourite deck that Lucky Mojo Sells is the Jeu du Destin Antique. The personalities on the cards are really brought to life. David (King of Spades) really looks like King David, complete with his lyre. Alexandre (King of Clubs) is outfitted to look like an Ancient Greek hoplite. It’s a nice deck if you read with a piquet deck. Never a problem! And yes, the Jeu Du Destin Antique is awesome. I haven't identified all the characters, but the ones I recognize are spot on. If you look above your post in this thread you will see four firm favourites -- The Tantric Dakini Oracle, The Art Deco deck, the Antique Cards of Destiny, and the French Cartomancy deck. To these i will add another favourite, one which has been a consistent seller in our shop for 15 years, the Piatnik Gipsy (with an "i") deck, also known as the "Piatnik Green Gipsy Zigeuner deck." I am seeing this last deck you have linked of interest, i have nine decks between oracle and tarot. Will be checking this deck out. I use the decks i have frequently, switching up each time depending on which energies i feel is connected with situation. The Gaia deck and Animal messages are two favorite oracle decks i have. The fairy ring Oracle i tend to read when digging deep in question. That deck has this fierce energy to it going along with the deck being very unique. The Green Cupid Gipsy Deck: This is adorable. The art is so light and airy, with a really sweet feeling, like an old Valentine's Day card. I love this deck. It does superficially resemble an old Lenormand deck, but it is really a thing of its own. This is my favorite of the three, because the art is so appealing. The Art Deco Deck: As explained in several places on the internet, this one is based on the Green Cupid Gipsy set but with more modern 1930s art plus a bunch more cards. The extra cards make it more versatile, and the art style looks like this would be good for reading in the evening, with a glass of wine, red velvet drapes, hoop earrings, and heavy mascara. Antique Cards of Destiny: This set is exactly what it says -- "antique." The art is stiff and formal, and so is the feeling I get when handling these cards. If I ever wanted to contact someone's ancient European ancestors through a card deck, I might use this one. Thank you for the review of the cards. You got me interested in the art deco deck by your description, I love the roaring 20's!